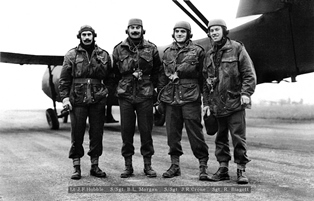 Officially formed in 1942, the Glider Pilot Regiment was an elite regiment of the British Army. It was made up of volunteers from other parts of the Army. Only those who achieved the highest standards were selected for flying training, initially training on powered aircraft before learning to fly gliders. Once fully qualified, they flew huge unpowered aircraft, capable of carrying troops, jeeps, artillery pieces and even tanks. They achieved extraordinary feats of flying, landing on unprepared landing zones behind enemy lines, and taking up arms to fight beside the troops which they carried into battle. They adopted whatever role was required of them, operating as pilots, infantry and even sometimes medics. As a result, they became known as “Total Soldiers”. Despite being an Army unit, the Regiment relied heavily on the RAF to provide training, tug aircraft and eventually glider pilots. Together they participated in some of the most famous turning points in the War including the invasion of Sicily, D-Day and Operation Market Garden. In the last Second World War airborne operation, Operation Varsity, they piloted gliders side by side. 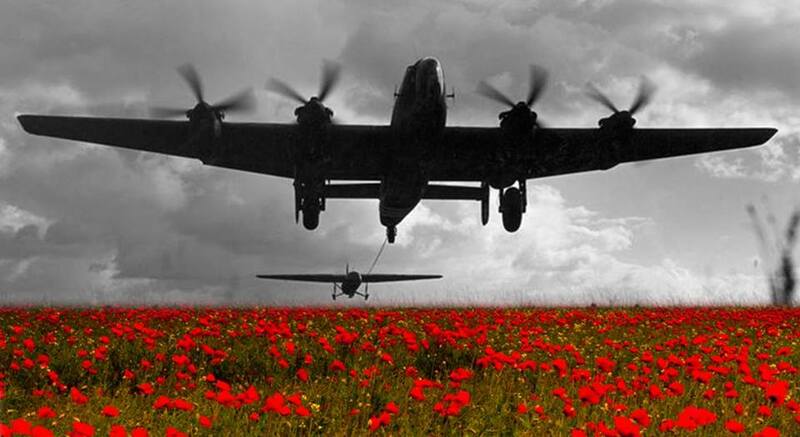 This talk celebrates the relationship between the Glider Pilot Regiment and the RAF, and a significant anniversary for the Glider Pilot Regiment which coincides with the RAF’s centenary. Chaired by the Glider Pilot Regiment Society Chairperson, Jane Barkway-Harney, the talk will be delivered in three parts. In the first part, Matt Yates will discuss the genesis of the Regiment, the selection and training of its volunteers, and the role the RAF played in preparing these Army soldiers to take to the skies. The second part will be delivered by Dr David Pasley and focuses on the 75th Anniversary of the Invasion of Sicily and the longest military glider tow in history. Stephen Wright will conduct the final part of the talk which covers Operation Varsity. This was the largest single Airborne lift and final operation of the Glider Pilot Regiment during Second World War and saw RAF crews seconded to the Glider Pilot Regiment as glider pilots to make up for previous losses. In addition to the talk there will also be a temporary, one off display of glider pilot kit from Chalk Living History, photographs and other materials and the speakers will be available to answer any questions and offer advice on research. Relatives and friends of glider pilot veterans are particularly welcome to bring photographs, log books and other materials and avail of free research from the extensive Glider Pilot Regiment Society archive. Jane is the Chairperson of the Glider Pilot Regiment Society and daughter of Geoff Barkway, DFM who piloted the third glider to Pegasus Bridge. As well as chairing the society, Jane coordinates many of the Society’s events and remembrance services in the UK and overseas. Matt is the vice chairman of the Glider Pilot Regiment Society and historian with a particular interest in military gliders and the Glider Pilot Regiment. He is also the Society’s archivist and editor of the Society’s magazine, “Glider Pilot’s Notes”. Matt is also part of the well-established living history group, Chalk Living History, and has conducted interactive and hands on displays across the country for many years, educating the public on the role of the Regiment. David is secretary of the Glider Pilot Regiment Society and volunteers with the Society offering free research assistance to relatives of Glider Pilot veterans. His connection to the Regiment is through his Grandfather, Sgt Johnny Wetherall, who was a Glider Pilot for Operation Market Garden. David has published a number of biographies of Glider Pilots and other airborne veterans and has written many articles about the Regiment. Steve was a founder member of the Glider Pilot Regiment Society and is connected to the Regiment through his uncle and glider pilot, Staff Sergeant Billy Marfleet. He has authored two books, “Operation Tonga” (first published as “One Night in June) and “The Last Drop”, which is the first in-depth account of Operation Varsity in English.